A. Rural Tennessee counties should remove the prison populations prior to redistricting. B. Counties should make their views known to the U.S. Census Bureau. C. The Tennessee legislature should take action. The U.S. Census was originally used to determine the relative population of each state for Congressional apportionment, but another important use of the Census—state and local redistricting—is impaired by a very old quirk in how the U.S. Census counts people in prison. 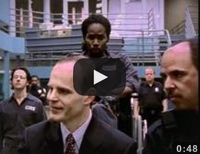 The Census Bureau counts prisoners as residents of the facilities in which they are incarcerated. The Bureau wants state and local government to use its findings, but it ignores the fact that the law in most states, including Tennessee, declare that a prison is not a residence. Tennessee law declares that “a person does not gain or lose residence solely by the person’s presence or absence…while confined in a public prison.” This is common sense: incarcerated people come from outside the communities where they are confined, remain in those communities involuntarily, and leave only when they are transferred or their sentences have expired. Prisoners do not vote or otherwise interact with the community, and so there is no reason to consider them residents of the county in which they are incarcerated. There is a national controversy about how the Census Bureau’s practice of counting thousands of disenfranchised non-residents in the rural Census blocks affects democracy at the state level, but a far larger result has gone almost unnoticed in the national press: the impact upon county governments. Because Tennessee county commissioner districts tend to be relatively small, a single large prison can have a huge negative impact on local democracy. The basic principle of American representative democracy is that every vote must be of equal weight. When districts are of substantially different sizes, the weight of each vote starts to differ: in underpopulated districts, each vote is worth more, and in overpopulated districts, a vote is worth less. The U.S. Supreme Court first declared that the “One Person, One Vote” principle applied to state legislative redistricting in the 1963 landmark case Reynolds v. Sims. The Court struck down an apportionment scheme for the Alabama state legislature that was based on counties and not population. In 1960, Lowndes County, Alabama, with 15,417 people, had the same number of state senators as Jefferson County, with 634,864 people, giving the residents of sparsely-populated Lowndes County 41 times as much political power as the residents of densely-populated Jefferson County. The Supreme Court ruled that the 14th Amendment’s equal protection clause required that districts be drawn to be substantially equal in population. The U.S. and Tennessee constitutions require that county commissioner districts, like congressional and state legislative districts, must be redrawn each decade to ensure that each district contains the same number of people. This is a way of ensuring that each resident has equal access to government, no matter where she or he lives. Relying on Census counts of the population to draw county commissioner districts creates significant problems for democracy in Tennessee because it reduces the number of real residents in the district with the prison. We identified 10 Tennessee counties in which the use of flawed Census data to draw county commissioner districts has created substantial inequities in political power within the counties. In Lake County, 88% of the population in County Commissioner District 1 is not local residents but prisoners counted at the Northwest Correctional Complex. This gives every group of 3 residents in District 1 as much say over county affairs as 25 residents in other districts. As described in Table 1 below, reliance on the Census Bureau’s flawed prison count to draw districts creates series problems for democracy in ten Tennessee Counties. Table 1. Vote dilution caused by relying on the prisoner miscount to draw Tennessee County Commissioner districts. Bledsoe District 1 Southeastern Tennessee State Regional Correctional Facility 969 34.7% Every 13 residents in district 1 have as much power as 20 residents elsewhere. Davidson District 20 Middle Tennessee Correctional Complex (now called the Charles Bass Correctional Complex), Riverbend Maximum Security Institution, and Lois M. DeBerry Special Needs Facility 2,569 15.4% Every 17 residents in district 20 have as much power as 20 residents elsewhere. Hardeman District 3 Whiteville Correctional Facility- CCA and Hardeman County Correctional Center 3,377 58.7% Every 41 residents in district 3 have as much power as 100 residents elsewhere. Hickman District 1 Turney Center Industrial Prison and Farm 1,106 33.4% Every 67 residents in district 1 have as much power as 100 residents elsewhere. Johnson District 5 Northeastern Correctional Complex 1,299 38.3% Every 31 residents in district 5 have as much power as 50 residents elsewhere. Lake District 1 Northwest Correctional Complex 1,799 87.6% Every 3 residents in district 1 have as much power as 25 residents elsewhere. Lauderdale District 5 Western Tennessee State Penitentiary 2,346 69.3% Every 31 residents in district 5 have as much power as 100 residents elsewhere. Morgan n/a Brushy Mountain Correctional Complex 1,536 47% Every 53 residents in the district that includes the Brushy Mountain Correctional Complex have as much power as 100 residents elsewhere. Tipton District 7 Tipton County Western Tennessee Detention Facility 527 9.5% Every 9 residents in district 7 have as much power as 10 residents elsewhere. Wayne District 2 South Central Correctional Facility and Wayne County Boot Camp 1,894 78.9% Every 21 residents in district 2 have as much power as 100 residents elsewhere. The Census Bureau’s decision to credit thousands of disenfranchised non-residents to the Census blocks with prisons creates serious problems for counties when they attempt to reapportion their local governments, but this problem need not exist in the future. Counties can lobby the Census Bureau for change or fix the data themselves; Tennessee legislators can also intervene. IV. A. Rural Tennessee counties should remove the prison populations prior to redistricting. Prior to the next round of redistricting after the 2010 Census, Tennessee counties with large prisons should remove the prison populations from the redistricting data. This would ensure that the actual resident population is the basis for the new districts. Correcting the Census Bureau’s mistakes to protect local democracy is not without precedent. 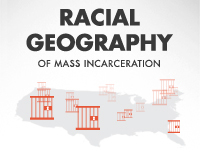 Our research has found many counties in the neighboring states of Mississippi, Georgia, South Carolina, and Virginia that exclude prison populations prior to drawing county districts. Correcting the Census data is not the ideal solution, but it is preferable to drawing districts in which some citizens are granted extra political clout because they happen to live next to a prison. IV. B. Counties should make their views known to the U.S. Census Bureau. In their recent report, the National Research Council of the National Academies recommended that the Census Bureau assess the states’ interest in separately identifying the prison population in the PL94-171 Redistricting Data. Currently, correctional facility data is only available in Summary File 1, which is published three to five months after the PL94-171 redistricting data and in a different format. If the prison populations were identified in the PL94-171 redistricting data set, commissioners could more easily subtract the prisoners prior to redistricting and draw undistorted districts. The National Research Council recommended that the Census Bureau assess states’ interests in identifying the prison populations in the redistricting data, but the prison miscount has a far larger impact on counties than than it does on states, so counties should make their needs known to the Census Bureau. The Census Bureau considers redistricting to be the second most important use of the Census, so the opinion of county officials in Tennessee would carry significant weight with the Bureau’s Redistricting Data Program. IV. C.	The Tennessee legislature should take action. Counties could be spared expense and needless controversy if the Tennessee legislature required counties to exclude the prison population prior to redistricting. Colorado currently requires counties to subtract prison populations prior to redistricting and Virginia encourages rural counties with large prisons to do so. Legislation is currently pending in New York State that would require the state to distribute corrected census data to the counties. The Office of Local Government, a part of the Tennessee Comptroller of the Treasury, publishes maps and population statistics for the County Commission Districts for 91 of Tennessee’s 95 counties at http://www.comptroller1.state.tn.us/lg/ActiveMapCounties.asp. The Census publishes correctional facility population counts in Summary File 1, Table P37. 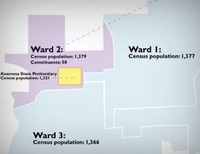 In all cases, it was easy to determine that the prison populations were included in the district totals because the Office of Local Government published the population totals for each district, and the sum of these district totals always equaled the population reported by Census 2000. Had prisoners not been included, the sum of the district populations would have been smaller than the Census 2000 population by the number of prisoners not included in the districts. To help citizens of rural counties with prisons determine how including prison populations in the district totals dilutes their votes in county government, the Prison Policy Initiative has published an interactive Democracy Toolkit containing step-by-step instructions and a series of online tools to make using Census data easier. This report was prepared using a pre-release version of the Democracy Toolkit. This report was prepared with the support of the After Prison Initiative of the Open Society Institute. We thank Justine Sheffler for bringing the Tennessee Comptroller’s map collection to our attention, and Bill Cooper for his assistance interpreting the results of our research. Peter Wagner is an attorney and Executive Director of the Prison Policy Initiative. In 2002, he authored the first district-by-district analysis of the impact of Census counts of prisoners on state legislative redistricting, Importing Constituents: Prisoners and Political Clout in New York (2002). He has presented his research at national and international conferences and meetings, including a Census Bureau Symposium, a meeting of the National Academies, and keynote addresses at Harvard and Brown Universities. His publications include, with Rose Heyer, Too big to ignore: How counting people in prisons distorted Census 2000 (2004) and with Eric Lotke, Prisoners of the Census: Electoral and Financial Consequences of Counting Prisoners Where They Go, Not Where They Come From [PDF] (2005). JooHye DellaRocco has a Master of Arts degree in Criminal Justice from the State University of New York at Albany. The Massachusetts-based non-profit, non-partisan Prison Policy Initiative documents the impact of mass incarceration on individuals, communities, and the national welfare. We produce accessible and innovative research to empower the public to participate in creating better criminal justice policy. Despite repeated efforts, we were unable to obtain a map or district descriptions for Morgan County. Our calculation assumes that the Brushy Mountain Correctional Complex’s two census blocks (total correctional population 1,536) are in the same district. Residents of the district that contains the prison will have the weight of their votes enhanced, and the residents of all other districts have their votes diluted, by about 50%. Calhoun, Dooly, Macon, Tattnall, Telfair and Wilcox Counties in Georgia removed the prison population prior to drawing local legislative districts. Allendale, Edgefield, Lancaster, Lee, Marlboro, and McCormick Counties in South Carolina excluded the prison population from the population base used for redistricting. Brunswick, Greensville, Richmond and Sussex Counties in Virginia excluded the prison population from the population base used for redistricting. See also footnote 9. “In any county, city, or town containing a state adult correctional facility whose inmate population, as determined by the information provided by the Department of Corrections, on the date of the decennial census exceeded twelve percent of the total population of such county, city, or town according to the decennial census, the governing body of such locality may elect to exclude such inmate population for the purposes of the decennial reapportionment.” (Va. Code Ann. S 24.2-304.1) Of the 5 covered counties, 4 took advantage of this provision, and the fifth achieved the same result by splitting the prison between the 5 districts. The actual population was 2,053, but the Census Bureau mistakenly assigned 291 of the prisoners to a location near Frierson road east of Tiptonville which is in District 2. If the entire population of this prison was counted at the correct location, it would be a district by itself.